Due to the demand of better banking facilities rather than the public bank, a few entrepreneurs take a bold step to start private commercial banks in Bangladesh and from the foot steps from the first generation commercial banks Bangladesh now have 49 public and private commercial banks. The role of Commercial Banks in our economy is more significant compared to other service oriented organizations. Already private commercial banks take a large portion of our banking sector. The internship report is a basic requirement of the BBA program of the School of Business, University. During the 12 week internship program, students are assigned to an organization to observe the practical applications of their theoretical knowledge. Finally, a report with proper analysis and possible solution of the problematic zones of the organization needs to be submitted to the Faculty Advisor Mohammad Mujibul Haque, Associate Professor, School of Business, NSU. The objective of the study is to examine organization structure, products, business strategy and last 3 year performance of Bank Asia Ltd. The scope of the study is to analyze the Bank Asia Limited. Both primary and secondary sources have been used for colleting necessary data to analyze the Bank Asia Ltd. Primary sources include face-to-face interview with respective officers in credit department. Secondary sources consist of several reading materials such as journals, brochures and Annual Reports. One of the crucial limitations is time constraint. As I posted in the Corporate Branch of the Bank; so, it is difficult for me to collect all the organization structure and other necessary information to know all related documents. Finally, lack of previous experience in this area will be another limitation. This report would helpful for the organization for future decisions. Whether they will stick with their present plan or whether they would change their strategy to attract more clients to get the service from the bank but also how they improve their present scenario. Due to the demand of better banking facilities rather than the public bank, a few entrepreneurs take a bold step to start private commercial banks in Bangladesh and from the foot steps from the first generation commercial banks Bangladesh now have 49 public and private commercial banks. Already 3rd generation private commercial banks are operating their services. The role of Commercial Banks in our economy is more significant compared to other service oriented organizations. Already private commercial banks take a large portion of our banking sector. 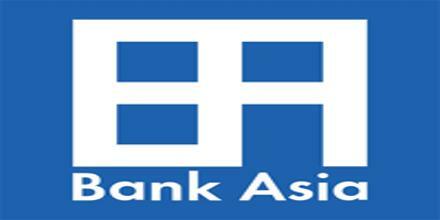 Bank Asia Limited is a third generation bank started its commercial banking operation from November 27, 1999. During the short span of time (less than five years) the bank has been successful in positioning itself as progressive and dynamic financial institution in the country. The bank has been widely acclaimed by the business community, from small entrepreneurs to large traders and industrial conglomerates, including the top rated corporate borrowers for forward-looking business outlook and innovative financing solutions. In the beginning of year 2001 Bank Asia Limited acquired the operation of the Bank of Nova Scotia of Canada in Bangladesh. In September 2001 a Memorandum of Understanding was signed with the Muslim Commercial Bank Limited (MCB) of Pakistan to take over their operations in Bangladesh. Eventually MCB’s operations were taken over through acquisition with effect from January 1, 2002. These events are milestones in the forward march of the Bank and have added new dimensions to the banking industry in the country. The acquisitions have provided wider access to Bank Asia Ltd regionally and internationally and helped the bank to expand it’s clientele. Bank Asia Ltd. started selling its share for the public in September 2003 and traded in DSE & CSE from that time. Bank Asia Limited is the first commercial Bangladeshi bank that acquired two foreign commercial banks to operate business. Now we will see how Bank Asia Ltd performed in the previous five years. Bank Asia started its operation with a huge amount of paid up capital that no other commercial bank starts with such a huge amount of money. And day by day the paid up capital amount is increasing. The stockholders equity is also increasing trend which reflect that shareholders eager to invest in the bank to increase revenue for the bank; which definitely a good sign for the bank. Total assets of the bank also increasing and especially in the year 2003 its jump to more than 4 million than in the previous year. It suggests that bank is wants to expand its business all over the Bangladesh and have the capability to tackle in the upcoming years. The amount of deposits also increase day by day that reflects customers have the faith in the bank to deposit their money in the bank. the amount of loans and advance of also increase that suggests that they are not put deposit idly in the bank they are investing the deposits in various credit facilities so that they are able to generate more revenue. As a new bank in the country, their Import and Export business have doing a good job. For a short period of time they are able to generate foreign currency at an increasing trend for the last four years. Net interest income also has an upward trend which is definitely a good sign for the company. Operating income, operating expense and operating profit is also increasing that show Bank Asia doing well in the industry. The number of branch also increasing rapidly which suggests that they are trying provides services more to the customers. Bank Asia Limited was licensed as a scheduled bank. It is engaged in pure commercial banking and providing services to all types of customers ranging from small and medium enterprises to large business organizations. It is working for the economic welfare by transferring funds from the surplus economic unit to those who are in deficit. A) Delivering high quality service to its clients. B) Increasing the volume of deposits. D) Being the market leader by automation of banking operations and innovation of services. E) Being an equal opportunity employer. To assist in bringing high quality service to our customers and to participate in the growth and expansion of our national economy. To set high standards of integrity and bring total satisfaction to our clients, shareholders and employees. To become the most sought after bank in the country, rendering technology driven innovative services by our dedicated team of professionals. The Credit Division is one of the most vital and important divisions of every commercial bank. The Credit Division of the Bank deals with issuing, monitoring different types of loan. At present Kamal U. Ahmed (FAVP), is the Head of Credit Division. This division is located in the Principal Office(PO). For this reason PO commonly known as “Feeding Branch”; the main objective of this division to monitor and control the Financial and Accounts department of all branches. Usually Manager of PO is the head of this division. Bank Asia Ltd. This division monitors several important functions of banking operations performed in different branches across the country. It deals with accounts, financial planning, and budget. HR Division is one of the crucial divisions of a bank. The jobs performed by the HR are recruitment of employees, placement of employees in different branches; arrange workshops & training program for the employees, performance evaluation, disciplinary actions, promotion, cadre change, employee service rules and benefits and others. Company Secretary is the Head of this division at the moment. Logistic and General Services Division is considered as the centre for providing necessary supporting services to other departments, other branches as well as the employees. The function of this division includes providing utility services, maintenance of premises, purchase of printing and general stationary, dispatch and transport pool. This division has a store in Tejgaon link road where all the necessary products are stored there. The main role of the ID is to deals with foreign currency and local currency. ID has the authority to deals every kind foreign currency conversion and made any kind of currency swap. It also deals maintains the mutual relationship with many corresponding banks on several issues such as agency and credit line arrangement, reconciliation, authorized signature control, TK.C (test key control), issuance of power of attorney, fund management and treasury operations (foreign) etc. At present ID is headed by an AVP of the bank. At present, ITD is based on Corporate Office and in the Gulshan Branch. Near Future it will fully shifted in Gulshan Branch. In recent times ITD changed the banks software system from “Bexibank” to “Stealer”. In the modern day banking ITD is a very important division as Bank Asia is now serving the customers in online service. It is very significant to adapt with the ongoing information technology revolution to provide faster services to the clients. The ITD supervises the overall computerization of the banking operations and networking, provides system support, deals with data processing and data entry, procures and maintain hardware, maintains and develops software required by the Bank to facilitate and support the day to day operations. The card division is situated in the Scotia Branch. The core function of the Card Division is dealing with issues ATM card, and customer and vendors management. The manager of Scotia Branch is the Head of Card Division. Bank Asia believes in full transparency and accurate banking jobs perform by its employees. For this purpose Bank Asia created a division called audit division. They have the authority audit in anytime in anywhere and only bound to report to the board of directors. The head of audit department is headed by Azhar Ali Miah,SVP. Share division deals with all kind of share related activities for example issuing dividends, arranging AGM, issuing new shares, etc. at present Company Secretary is the head of share division. The main objective of this division to expand its business all over Bangladesh; to focus on selecting new locations for new branches, how to attract new customers and to keep the present customer for the future. At present, an SVP of the bank is headed this division. In the modern day banking marketing issues are very vital to move forward and prosper in future. At present in the banking sector there is a huge competition in this sector, the number of banks are increasing, government and central bank guidelines become tougher to control money laundering, forgery, and other burning issues. Government also tries to monitor how the banks do day to day banking, what is the chance of providing bad debts, take initiatives so that banks can not provide loans to those persons, company, etc. which would have the chance to loan default. Place is the branches and corporate office where the customer can get the service. At present except the Corporate Office Bank Asia has 16 branches and within this year they would increase three more branches. 7 of the sixteen branches are outside Dhaka City which reflects that they are eager to provide their services all around Bangladesh. From the beginning of the bank, the authority of the bank believes that a highly qualified, energetic, enthusiastic, cooperative, eager to learn more employees can improve the bank in the modern day competition. That’s why the authority hires those people who have this quality. Moreover, at the top level of the management is full of renowned bankers in Bangladesh. A very few bank in Bangladesh has this kind of manpower or human resources. Although packaging in banking sector is not popular in Bangladesh, though Bank Asia tries to provide. After open an account in the bank the authority also send a letter as acknowledgement to the customer’s mail address. When a person opens an account in the bank; the bank provides all the documents in a beautiful package. Bank provides a plastic packet to protect the ATM cards when they purchase ATM cards. Whenever a business deals occurs in the bank need to provide documents, bank provides the documents with a beautiful packet which has a logo of the bank and respective branch address. At the present day banking promotion is the vital role to play to increase the business share. And this motto follows Bank Asia. They provides regularly ads in the newspaper, provides press release to the paper to inform the citizens what they are now doing at moment. In the rural areas they provide billboards both sides of the highways. This step is taken to fulfill its objective to popularize the bank in the rural areas. They also regularly take parts in social activities like clean your city, sanitation, drink pure water, etc. Bank Asia always regularly publishes leaflets to provide information about their products, branches, objectives, etc. As the promotion campaign Bank Asia authority provides jobs to the national cricketers. At present in this criterion, Tareq Aziz Khan and Khaled Mahmood Sujon are performing their banking duties. More cricketers and other sports persons, reputed personalities in different fields would get the opportunity to work in Bank Asia. In next cricket season, Bank Asia will participate in the corporate league. Products and price are two different criteria in service marketing. I would do it jointly. Products and price are the core equipments that will attract customers. According to division wise I would try to narrate the products of Bank Asia. All business concerns earn a profit through selling either a product or a service. A bank does not produce any tangible product to sell but does offer a variety of financial services to its customers. General banking is the starting point of all the banking operations. It is the department, which provides day-to-day services to the customers. Everyday it receives deposits from the customers and meets their demand for cash by honoring cheques. It opens new accounts, remit funds, issue bank drafts and pay orders etc. Since bank is confined to provide the service everyday, general banking is also known as ‘retail banking’. General banking is categorized in following stages. Customer service deals with opening different type of deposit accounts, issuing Sanchaypatra, Demand Draft, Telegraphic Transfer, ATM Card, Pay Order and SMS Banking and finally but not least deals with the clients of all type of enquiries and try to solve the problem. Bearer Certificate of Deposit account is almost same as Fixed Deposit account. But in case of BCD account, no name and address are mentioned. The customer opens this type of account as a bearer but it is negotiable. Whoever presents it to the bank has the right to get the money. There is no prescribed interest rate on such funds but Bank Asia Ltd offers same interest rate of the term deposit of different maturity. The investor is assured of ready liquidity. In case of need he can sell the certificate in the secondary market. s the identification of the owner is not given in the instrument, it is very much popular. During the encashment of the instrument, the excise duty and income tax (10%) is deducted. In case of premature encashment, the principal amount is only paid to the customer. Individuals and party for savings purposes open this type of account. Current interest rate of these accounts is 6% per annum. Interest on Savings account is calculated and accrued monthly and credited to the account half yearly. Interest calculation is made for each month based on the lowest balance at credit of an account in that month. A depositor can withdraw from his SB account not more than twice a week. These are deposits, which are made with the bank for a fixed period specified in advance. The bank needs not to maintain cash reserve against these deposits and therefore, bank gives high rate of interest on such deposits. A FDR is issued to the depositor acknowledging receipt of the sum of money mentioned therein. It also contains the rate of interest and the date on which the deposit will fall due for payment. Rate of Interest varies depending on the period of maturity date. As per the rules of Bangladesh bank, every bank has to sell the government Sanchaypatra. By selling the Government Sanchaypatra bank earns an amount of money from the government. A pay order is an instrument from one branch to another of the same Bank to pay a certain sum of money to the person thereon or to his order. Unlike cheque, there is no possibility of dishonoring pay order because before issuing P.O Bank takes out money of the pay order in advance. Telegram, telephone or telex transfer is another widely used mode for remittances of funds. In case of TT the message for transfer of funds is communicated through tested telephone or telegraph. TT is issue against cash, cheque, and letter of instruction. . The drawer and the payee should have accounts with Bank Asia Ltd.
On other bank’s is @0.15%, minimum Tk. 100/- + cost of telex and other bank charges. Demand Draft is an instrument containing an order of the Issuing branch upon another branch known as Drawee branch, for payment of a certain sum of money to the payee or to his order on demand by the beneficiary presenting the draft itself. DD is issued in favour of a customer who maintains an A/c with this branch. It can be issued against Cash. On other bank’s is @0.15%, minimum Tk. 100/- + Postage and other bank charges. Cancellation of DD/OD/TT is Tk.75/- + postage /Telex charges. Automated teller machine (ATM) is one of the modern financial services provided by bank. This is providing customer collection of money any time he desires. Now a day life is to fast. To consider this bank creates this service where s/he needs not to follow the banking hour to collect money from his deposit .It is a debit card. Customer firstly deposit money against this a/c then gets ATM service. Tk 200 for replacement of each lost, stolen or damaged card. Tk. 100 annual fees per card for any additional utility bill payment. SMS banking is the new product of Bank Asia. With the help of Grameen Phone, Citicell and in the internet customers can check the balance enquiry without any cost. This facility also sends message to the cell phone of the customer whenever he deposited or withdraw cash from his account. Cell phone providers take only the message charge only when the customer enquires about his balance. Bank Asia is providing facility of locker service for the purpose of safe guarding the valuable property of customers. The person or organization that has any account in bank branch can enjoy this service. They keep their valuable assets in banker’s custody. Customers have right to look after with a key of their individual lockers provided by bank. Corporate Branch receives different types of instruments, such as cheque, PO, DD etc. from its customers for collection. It also pays on behalf of its customers for those instruments that come to it through clearinghouse. When instruments of Bank Asia Ltd are sent for collection or received for payment through clearinghouse it is called Inter Branch Collection or IBC. These are treated in a little different manner than instruments of other banks. The teller section of Bank Asia Ltd deals with all types of negotiable instruments, cash and other instruments and treated as a sensitive section of the bank. It includes the vault, which is used as the store of cash, instruments. If the cash stock goes beyond this limit, the excess cash is then transferred to Bangladesh Bank. Keys to the room are kept under control of cash officer and branch in charge. The amount of opening cash balance is entered into a register. After whole days’ transaction, the surplus money remains in the cash counter is put back in the vault and known as the closing balance. Money is received and paid in this section. Grameen Phone bills also collect here. According to the contract receive of each bill the branch will get Tk. 5 each. Bank Asia Ltd accepts the charges for TOEFL, SAT, GMAT etc. through Foreign Demand Draft. Bank Asia Ltd opens Student Files to issue Foreign Demand Draft following the permission of Bangladesh Bank. BANK ASIA LTD endorses US$ in passports. To endorse US Dollar, the client has to apply in the prescribed form (TM Form). i) The buyer has to deposit money with the branch of Bank Asia Ltd equivalent to the amount of the T.C. he wants to buy. ii) Each T.C. is signed by the buyer at place marked “when countersigned below with this signature”, before the Bank Asia Ltd Officer. iii) T.C. is issued in single name .It is not issued in joint names or names of clubs, societies and companies. iv) There is no expiry period for the T.C. This is also a post- import finance facility awarded to retire import bills directly or under PAD as the case may be. Like LIM in this case too bank may or may not realize margin on the total landed cost, ending upon banker customer relationship. Documentary Credit is an assurance of payment by the bank. It is an arrangement under which the bank at the request of the buyer or on its own undertakes to make payment to the seller provided specified documents are submitted. Documentary Credit is an arrangement whereby a bank (issuing bank) acting at the request and on the instruction of a customer (the applicant) or on its own behalf undertakes to make payment to or to the order of a third party (the beneficiary) or to accept and pay bills of exchange (draft) drawn by the beneficiary, or authorize another bank to negotiate against stipulated documents provided the terms and conditions to the credit are complied. Thus, documentary credits are akin to bank guarantees. In popular language, they are known as letters of credit (L/Cs). Bank guarantees are, however, issued to cover situation of non-performance whereas documentary credits are issued on behalf of the buyer to cover situation of performance, i.e., the issuing bank agrees to make payment to the beneficiary once he surrenders the requisite complying documents. However, the term documentary credit has of late been extended to cover the situation of non-performance too. Documentary credits have gained wider acceptance in international trade for they try to safeguard the interest of both the buyer and the seller by reducing their risks. Thus, documentary credit offers a unique and universally used method of achieving a commercially acceptable arrangement by providing for payment to be made against complying documents that represent the goods and making possible the transfer of those goods. After those, exporter submits all these documents along with a Letter of Indemnity to Bank Asia Ltd for negotiation. An officer scrutinizes all the documents. If the document is a clean one, Bank Asia Ltd purchases the documents based on banker- customer relationship. This is known as Foreign Documentary Bill Purchase (FDBP). After those, exporter submits all these documents along with a Letter of Indemnity to Bank Asia Ltd for negotiation. An officer scrutinizes all the documents. If the document is a clean one, Bank Asia Ltd purchases the documents based on banker- customer relationship. This is known as Local Documentary Bill Purchase (LDBP). Human resource is one of the major issues of a bank. A powerful HR can go through for a success in a difficult situation. As any service company the major issue is how effective the HR is to provide service to the customer. More efficient HR is able to deliver the service properly. As the banking service is competitive day by day any bank need a powerful HR to move in a smooth way to survive or do well in the business. Bank Asia Ltd Two years ago made a decision that they would hire for next 5 years Management Trainee (MT) on the basis of examinations. Already 2 batches of MTs are in the bank and doing their jobs. Most of the 1st batch MT are now Senior Officers as per the circular. In the recruitment process the authority gives advertisement in newspaper regarding hiring MT. the criteria for MT is one must have 2 First Division in 2 Public Examinations and Bachelor Degree. Bachelor Degree must be in MBA, BBA, Marketing, Finance from IBA, NSU, IUB, DU. MT selection process is divided into 4 parts: in the 1st part is written examination. And rest of the three parts are interview process. Board of Directors, Management Executives take the interview to select new MT. after selection the MTs, the bank divided all the MTs into different groups and each group contain two members. After that all the groups move different branches of the bank and observe the activities of different divisions. Trainee Officers (TO) are recruited time to time basis. Usually those who could not qualify for the final selection of MT are recruited as TO. Tellers and Front Desk Officer/Receptionists are recruited time to time basis. Here the qualification of the candidates is less categorized. In the process, the top level management executives join from other banks with better facilities. Usually the bank does not give any advertisements for hire ranks. Those people who are interested to join in the bank drops their CV in the HR. Management of the bank also try to pursue top level executives from other banks. Bank Asia provides different type of employee benefits to the employees to encourage working in the bank. They offer lucrative salary scale compare to other commercial banks in Bangladesh. Due to confidentiality I could not manage the salary scale of the employees of the bank but talking with the employees of the bank they told me that the bank provide a better amount in every position compare to other commercial banks. All the employees of the bank are entitled to two festival bonuses on the occasion of Eid-ul-Fitr and Eid-ul-Azha worth of one month’s basic pay. The bank also provides 3 performance bonuses according to their performance in the bank. The performances are evaluated by how much deposit and account they provide to the bank, working performance which is basically evaluated by the ACR provided by the respective branch manager, head of the department for corporate office employee, MD for the branch manager and respective head of the departments. However, employees who are dismissed from the service are not entitled to get any bonus. Bank Asia has the facility of Provident Fund services for their employees; which allows the employees of the Bank to save 10% of their basic salary in every month. The Bank also contributes an equal amount in this fund as the employees to amass an attractive sum. After the retirement from the service the bank provide the amount to the employee. Messengers, drivers and guards of the bank also get a lucrative amount of money after their retirement from the bank. Here they do not have to pay an amount of money for this facility. The employees of the Bank are entitled to this benefit scheme if an employee dies during his or her service period with the Bank or after completion of 5 years of service without any discontinuation. The Bank provides this type of benefit to the permanent female employees. Bank provides two month live for this purpose. TK. 15,000.00/- for passing the 1st part of the examination. TK. 20,000.00/- for passing the 2nd part of the examination. The Bank grants house building and car loan for the management executives (lowest criteria is Senior Executive Officer). The loan amount does not exceed 75% of the total cost and is amortized in every month from their salaries. The interest rate range is between 7-8%. The Bank pays one month salary to the employee for this purpose also the bank provides 10 days holidays for this facility. Every year the employees are enjoying this benefit. How an organization financially sound well can evaluate by some financial calculations focusing various aspects. To evaluate the financial performance of a company, ratio analysis, an effective tool among other analytical tools, can reveal numerous amazing facts which are not noticeable seemingly. Leverage ratios are one of the most useful tools in analyzing the risk worthiness of an organization. Leverage ratio mainly focuses on how a company is performing with compare to its debts situation. The Long Term Debt ratio explores the percentage of total long term capital in the form of Long Term Debt. The average Long Term Debt of the Bank is 54.96% and has been reduced recently but in middle it went up according to the aforementioned graph. It indicates that the Bank has shifted its attention from long term borrowing to short term borrowing. It is noticeable that the Bank is operating with very high and steady financial leverage of 94.17% which is riskier as the debt holders can force the Bank to be declared as bankrupt in case of missing on time interest payment. The tendency of equity holders to made less investment. The performance of a bank should also be calculated from the viewpoint of liquidity. Business organizations with more liquid assets stay in a good position in meeting their short term liabilities even they are not able to generate enough cash flow from operations. Therefore, the liquidity ratios are effective tools for examining the performance of an organization within a short span of time. Although the Bank maintains good current ratios on an average, it has been decreased in a downward trend. This unexpected reduction of current ratio indicates the enhancement of current liabilities by the Bank. Cash, Short Term Investment (equivalent to marketable securities) and Receivables are the most liquid assets of the Bank. Quick or Acid Test Ratio compares the volume of most liquid current assets to the current liabilities of an organization. It is found that the Bank holds TK 0.98 for every TK 1.00 of its current liabilities on an average. The quick ratios of the Bank have gone down indicating either a reduction in the liquid current assets or incensement of current liabilities in compliance with the current ratios. In conclusion, Bank Asia Limited is still in a good position if it is judged from the liquidity aspect but the trend is decreasing at a decreasing rate. Bank should take corrective measures to avoid this consequence in future. The efficiency ratios are estimated to explore how efficient an organization to utilizing its assets. Those who have good efficiency ratios are expected to outperform its competitors in the long run. The Total Asset Turnover ratios of the Bank are vet low as it is generating only TK0.22 of its income from every TK 1.00 of total assets on an average. The Bank needs to increase more revenue out of its total assets to be more efficient in turning its assets into revenue. Profitability analysis will determine either the company is in a profitable organization or not. Again it also gives an indication that it would be profitable company in future. It is very important for a company to analyze its profitability ratios. NPM gives the indication how a company is earning profit. According to the graph, they have a upward trend and the average NIM is 67.53% which is very good. The Bank is in a very good position as its profitability is not only high but is also stable over the time even with the adverse condition of the economy. The Net Interest Margin measures the Bank’s ability to earn interest out of its total assets. It is seen that the Bank is maintaining an average interest margin of 2.86% which is average and needs to be increased immediately. Bank Operating Margin is estimated to find out the percentage of net income from total assets. The bask has consistently maintain 3% which is not good for the Bank for competitive performance. Low operating margin indicates the lower percentage of operating income compared to total assets and needs to be increased to survive in the business. The return from total assets after excluding the taxes from the EBIT is very low for the Bank. The Bank needs to increase its return on assets in the future to remain competitive among its contemporary counterparts. The Du Pont ROA reveals that Total Asset Turnover Ratios must rise to increase the ROA since the Bank is maintaining a good Profit Margin. The average Return on Equity of around 39% refers the lower investment of equity capital in the total capital structure of the Bank. Each share of the Bank is earning TK 37.94 on an average for the last three years and it is going up and down for the last three years. It is referring that the shareholders are earning TK 23.00 on an average from each share in their possession. The dividend per share is going up and down for the last three years. The Book Value per Share is increasing over the years indicating changes in the amount of equity per year. As the average P/E Ratio is TK 10.42, it is good for the Bank because the shareholders want to allocate more than ten time of its earning. The dividend yield for the Bank on an average is 6.16%, this is a good sign for the bank investor would keep their money with the share. The market value ratios imply that the Bank has the ability to survive in the competition with good reputation. Bank Asia Limited has already able to get the confidence among the shareholders. Therefore, the Bank should keep on maintaining the same reputation to succeed in future. Every organization is composed of some internal strengths and weaknesses and also has some external opportunities and threats in its whole life cycle. The following will briefly introduce the audience to the Bank Asia’s internal strengths and weaknesses, and external opportunities and threats as I have explored in the past ten weeks. Bank Asia provides its customers excellent and consistent quality in every service. It is of highest priority that customer is totally satisfied. Bank Asia draws its strength from the adaptability and dynamism it possesses. It has quickly adapted to world class standard in terms banking services. Bank Asia has also adapted state of the art technology to connect with the world for better communication to integrate facilities. Bank Asia is a financially sound company backed by the enormous resource base of the mother concern RANGS group. As a result customers feel comfortable in dealing with the company. All the levels of the management are solely directed to maintain a culture for the betterment of the quality of the service and development a corporate brand image in the market through organization wide team approach and open communication system. Bank Asia utilizes state-of-the-art technology to ensure consistent quality and operation. The proof of that can be found in one of its branches, Scotia that is equiped with Reuters and SWIFT. All these facilities will be introduced in every branch very shortly. One of the key-contributing factors behind the success of Bank Asia is its employees who are highly trained and most competent in their own field. Bank Asia provides their employees training both in-house and out side job. Bank Asia is free from dependence from the ever-disruptive power supply of our public sources. The required power is generated by the company through generator fed on diesel. Water generation at present is also done by deep tube wells on site and is abundant in quantity. Bank Asia provides its workforce an excellent place to work in. Total complex has been centrally conditioned. The interior decoration was done exquisitely with the choice of soothing colors and blend of artisti that is comparable to any multinational bank. Bank Asia Limited has already achieved a goodwill among the clients that helps it to retain valuable clients. Bank Asia has very limited human resources compared to its financial activities. There are not many people to perform most of the tasks. As a result many of the employees are burdened with extra work loads and works late hours without any overtime facilities. This might cause high employee turnover that will prove to be too costly to avoid. The Bank lacks aggressive advertising and promotional activities to get a broad geographic coverage. Government of Bangladesh has rendered its full support to the banking sector for a sound financial status of the country, as it is becoming one of the vital sources of employment in the country now. Such government concern will facilitate and support the long-term vision for Bank Asia. Emergence of e-banking will open more scope for Bank Asia to reach the clients not only in Bangladesh but also in the global arena. It will also facilitate wide area network in between the buyer and the production unit of Bank Asia to smooth operation to meet the desired need with least deviation. The Bank can introduce more innovative and modern customer services to better survive in the competition. For example, the Bank can introduce credit cards and go for merchant banking. The Bank can recruit experienced, efficient and knowledgeable workforce as it offers attractive compensation package and good working environment. The worldwide trend of mergers and acquisition in financial institutions is causing concentration the industry and competitors are increasing in power in their respective areas. As previously mentioned, the world is advancing towards e-technology very fast. Though Bank Asia has taken effort to join the stream, it is not possible to complete the mission due to the poor technological infrastructure of our country. Frequent Taka Devaluation and foreign exchange rate fluctuations and particularly South-East Asian currency crisis adversely affects the business globally. Due to existence of unserved demand in financial sector, it is expected that more financial institutions will be introduced in the industry very shortly. And we have already seen such cases in our country that lots of new banks are coming in the scenario with new services. Bank Asia should always be prepared for the competition in the coming years. Local competitors can capture a huge market share by offering similar products and services provided by the Bank. Bank Asia Ltd. is a 3rd generation commercial bank and has acquired two foreign commercial banks which give them an advantage over other commercial banks. They are now doing business for five years and already made its presence in a positive frame to the mind of shareholders, clients, other bankers as well as other banks. They have the capital, human resource to grow rapidly in the coming days. As the competition in commercial bank sector is increasing rapidly, to exist its present position or improve its present position the bank have to go for better, quick services to the customers in future. They have different type of products in the market but they should also increase products to get more market share. They have 16 branches all around Bangladesh at present which are good for a new bank but they should also focus on different business zone to set up new branches all over the country. According to the financial statements of the bank they are doing good in the previous years but they should improve in different activities other wise they have to face tough time in future. Bank Asia should increase skilled human resources to do its financial activities more efficiently. So, that, many of the employees do not have to do extra work loads and works late hours without any overtime facilities. The Bank should go for aggressive advertising and promotional activities to get a broad geographic coverage. The Bank should have any research and development division. The bank should introduce different type of products such as deposit scheme, different type of loan facilities, etc. The Bank should introduce more innovative and modern customer services to better survive in the competition. For example, the Bank can introduce credit cards and go for merchant banking. The Bank should recruit experienced, efficient and knowledgeable workforce as it offers attractive compensation package and good working environment.